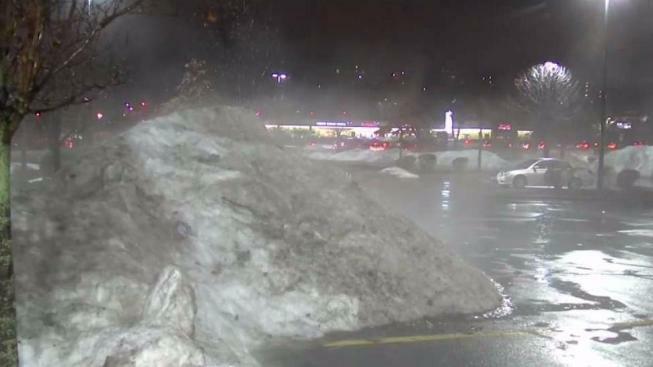 A combination of heavy rain and warm temperatures melted plenty of snow in New England on Friday, and with many storm drains still blocked by snow and ice, localized flooding impacted the evening commute for some. The Massachusetts Emergency Management Agency said beginning Friday night rainfall was forecasted to amount to 1.5 to 3 inches, with higher amounts of up to 4 inches in some local areas. Firefighters in Framingham worked hard, responding to a downed wire that sparked a fire and knocked out power to hundreds. Kurt Schwartz, the director of MEMA, said street flooding woulds likely be caused by ice dams or storm drains that had not been dug out, leaving no place for the water to go. 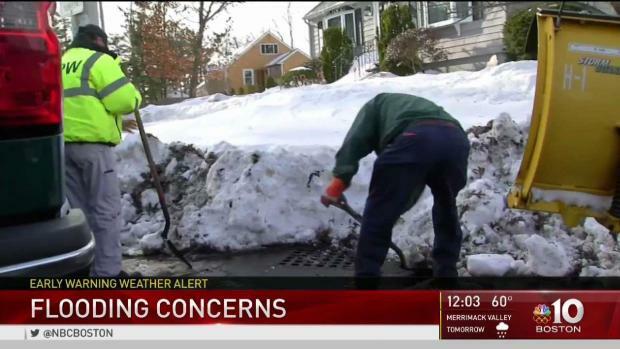 "Look for the storm drains and catch basins on their streets around their homes," he said. "Clear them of snow and ice, look on their properties as well if they have low areas that tend to collect water. 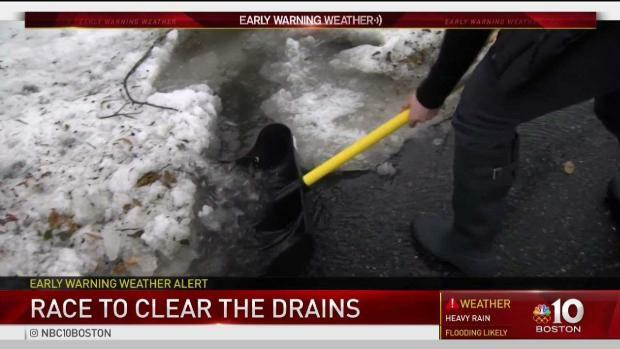 Clear snow and ice to give that water a path to drain away from the house." He added that you should raise any items in your basement if it is prone to flooding. Drivers are also reminded not to go through flooded streets. Not only does the region have a flood watch, there are winter storm warnings in effect for northern New England due to the rapid change from rain to freezing rain and snow. Once the rain stops Saturday, the temperatures will drop, causing the melted snow to become ice. MEMA said this could cause black ice, especially on untreated roadways.